ViewSonic Corp debuts its new ViewFun 3D line at CES 2011. The family includes five new media devices, from point and shoot cameras to 3D HD camcorders and photo frame that are capable to record and reproduce 3D and 2D content. 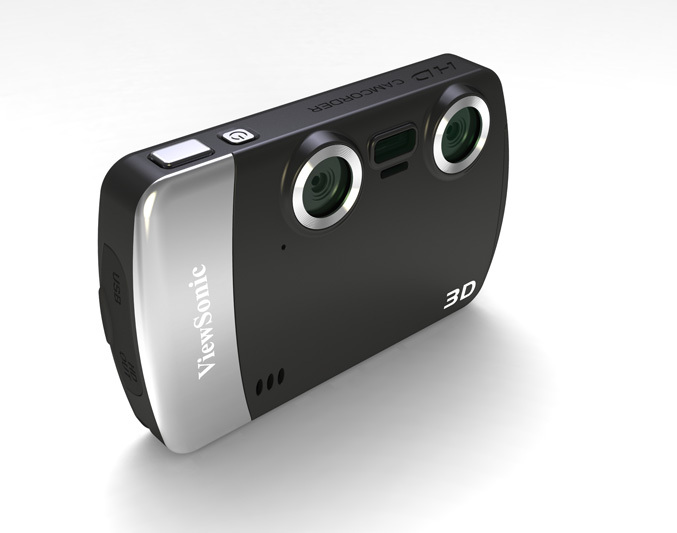 The first product – the ViewFun 3D Snap is a pocket-sized digital camera that captures 2D and 3D images and video. It packs dual 5-megapixel lens, 2.4-inch 3D LCD panel that displays your 3D memories without need of special glasses thanks to advanced parallax barrier technology. The Snap also supports a camera resolution of up to 12-megapixels, has rechargeable Li-ion battery, SD/SDHC storage slot, mini HDMI port and comes with a pair of red/cyan glasses, to let you play back captured content on a regular 2D PC or notebook by selecting the red/cyan format. The camera’s built-in software makes it easy to share content on Facebook and YouTube 3D and will be available in Q1 2011 for an ESP of $149.99. ViewFun 3D Pocket($179.99.) and PocketHD ($199.99) camcorders also enable capturing 3D or 2D HD videos in 720p and Full HD 1080p, respectively.The cameras offers dual 5-megapixel fixed focus, 3D playback on the 2.4″ LCD panel without glasses, USB rechargeable Li-ion battery, mini HDMI port, SD/MMC storage slot and easy uploading and one click video sharing on YouTube 3D and Facebook. 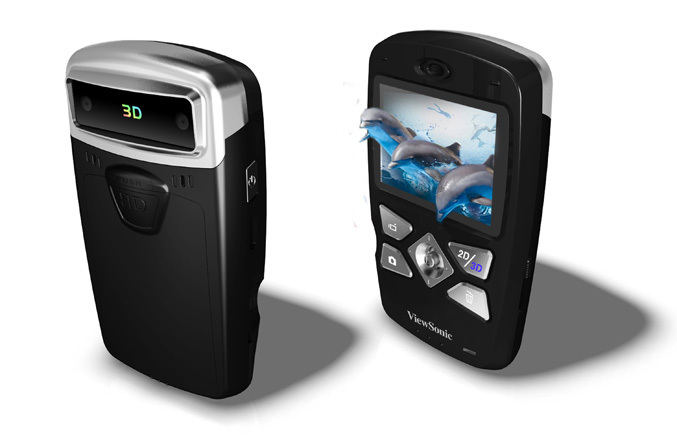 The ViewFun 3D Pocket camcorder is currently available , while theViewFun 3D PocketHD will be available in early Q2. 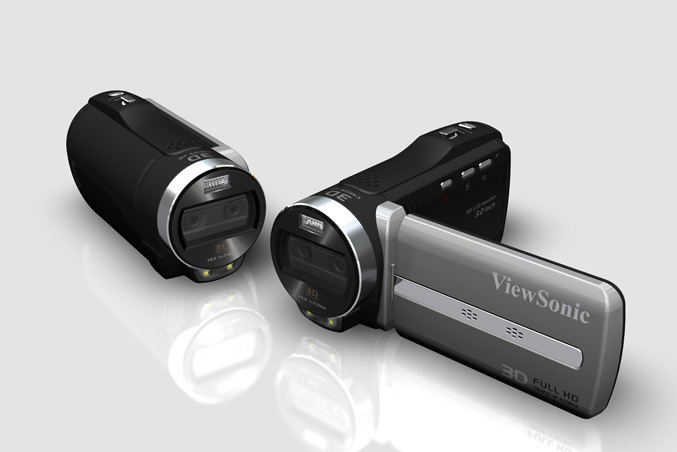 ViewSonic’s compact ViewFun 3D Palm camcorder offers HD video at 60 frames per second (fps). It features an auto/on/off flash light for pictures, dual LED lights for video, a night shot auto off mode, a built-in stereo microphone and speaker, and white balance correction settings (auto, sunny, cloudy, fluorescent and Tungsten) and like its smaller siblings offers instant 3D playback on its 3.2-inch LCD panel without glasses, content play back on a PC or notebook with included red/cyan glasses, or 3D HDTV viewing via the mini HDMI port, as well as easy YouTube 3D and Facebook video sharing. The 3D Palm also has a rechargeable Li-ion battery. SD/SDHC card slot and will be available in early Q2 2011 for $249.99. And finally ViewSonic offers a solution for easy sharing of your memories in 3D with no glasses needed- ViewFun 3D Show Digital Photo Frame. 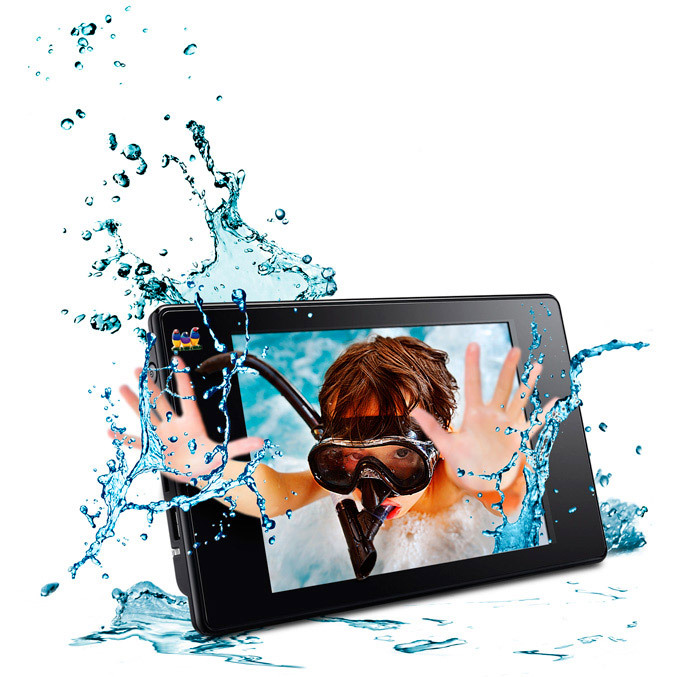 It is capable of automatically converting of standard 2D photos and videos to 3D and includes features like touch panel controls, calendar, clock and alarm, slideshows with music and built-in rechargeable battery. Available now for $179.99.